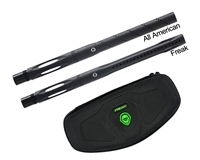 The Freak Paintball Barrel Kit is the best selling paintball barrel system of all time! 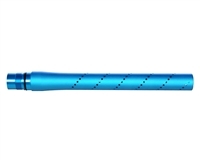 The Freak Barrel revolutionized how consistent and accurate a paintball marker can shoot. The Freak was the first barrel kit that uses sized inserts and a screw-in barrel tip to adjust both the bore diameter and the barrel length. The Freak Barrel System gives the player total control for the paint they are shooting that day, or for changing weather conditions. No need to buy a whole new barrel system if you get a new marker or own another with different barrel threads; simply buy a new Freak Back and you are set! ActionVillage is proud to carry the complete line of Freak Barrels and Accessories. In Stock. Lowest Price. Guaranteed.